Trying to save money when you buy vodka is tricky because it is very easy to end up with a bad bottle of vodka. Luckily, there are good vodkas that are perfect for those times when we have to go into extreme budgeting mode. Trust us, there are inexpensive vodkas that you will actually want to drink. The following vodka brands are some of the best budget-friendly vodkas on the market today, and they can be used to create delicious and frugal cocktails. They range in price from $10 to $20, and many of them have a nice selection of​ interesting, delicious flavors. The clear vodkas from these brands are excellent candidates for ​homemade infusions as well. Experiment all you want with these and know that you are starting with a clean base that is just waiting for your optimizations. Clocking in at an average of about $15 a bottle, New Amsterdam vodka is a new superstar in the vodka category and a new favorite for the frugal drinker, plus it offers cocktail lovers a handful of flavors that are fun to mix with. This California vodka is distilled five times from American grain before going through a three-stage filtration. For the price, New Amsterdam is surprisingly smooth. Don't hesitate to drink any of these vodkas straight or keep them in stock as a good vodka. The brand's flavored vodka line is simple and seems to be expanding gradually with winning flavors that range from coconut and pineapple to red berry. Each of the flavors is bright and can add a fun twist to any cocktail. The 80-proof vodka created by New Amsterdam Spirits, owned by Modesto, California, wine veteran E. & J. Gallo Winery, was launched in just 2011. It owes its success not only to smooth taste but also to a clever low-price policy and stellar marketing—two things Gallo knows a thing or two about. Higher-priced stalwarts in the category have not been amused. New Amsterdam achieved phenomenal success alongside fellow newcomer, Tito's Handmade Vodka of Austin, which also carved out skyrocketing sales by promoting quality at a low price (one "Tito-ism": "I make a filet mignon at a pot roast price"). A bottle of Tito's averages about $16. 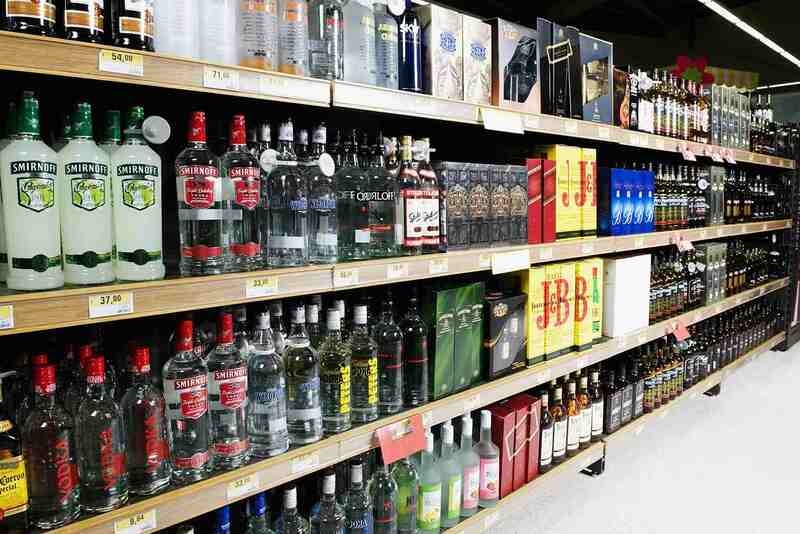 The [New Amsterdam] vodka grew case volume by 36% [in 2016] to become the second-largest brand in the category behind Diageo's Smirnoff, according to Impact Databank, a sales tracking service published by liquor trade pub Shanken News Daily. Only fifth-ranked Tito's came close to matching that growth, at 35%, while Smirnoff eked out a 1.3% increase and fourth-ranked Absolut fell 3.4%. It is an astounding accomplishment for two relatively young brands that would not even be old enough to drink if they were people: Tito's arrived in 1997 and New Amsterdam has only been around since 2011. The growth indicates how much has changed in the vodka category over the past couple decades. Austin, Texas-based Tito's -- officially Tito's Handmade Vodka -- carved out a unique identity as a "handmade vodka" produced in "old-fashioned pot stills." Deep Eddy Vodka is one of the newest on the market, and it is making a big splash in a short time. The company's clear and flavored vodkas are at the high end of the "cheap" list, but for just $20 or so for the classic clear bottle, they are worth every cent. You can find Deep Eddy flavored vodkas for about $5 less a bottle. Produced in Austin, Texas, Deep Eddy is a handcrafted, small-batch vodka that's bringing the latest trend of fine American vodkas into the affordable market. Using a corn base, 10 distillations using a column still, and pure Texas water from an aquifer deep beneath the earth (evidently the "deep eddy" here), these vodkas are spectacular, rivaling many of the premium brands. The biggest difference in the flavors from Deep Eddy is that they each come from natural ingredients. It is a rare treat in the vodka market, let alone in value brands. The flavored vodkas, ranging from sweet tea to ruby red grapefruit, are as clean and natural as the clear classic and are perfect for cocktails. If you shop around, you can find Svedka Vodka for less than $15 a bottle, although the clear vodka is often just under $20. This import also comes in liters, which are readily available and just as budget friendly. Svedka is one of the cleanest value brands available. It is produced in Sweden, where it is distilled from winter wheat. The brand is continually expanding its line of flavors as well. The company specializes in fruit vodkas, is beginning to experiment with combinations like strawberry lemonade and mango pineapple, and has even created a fun grapefruit-jalapeño combo that works surprisingly well. Svedka can work in almost any vodka cocktail you want to mix up. As with all budget brands, stick with the easy mixed drinks and fruity martinis that layer the flavors; there are so many recipes that fall into this category that you will not run out of options. The Luksusowa bottle may not look as fancy as others, but the imported spirit inside is surprising given its $15 price tag. If you have been passing this one on the liquor shelf and not buying it, consider this your chance for redemption. Luksusowa is a Polish potato vodka that is crafted in the fine traditions of that country's vodka lineage. It is distilled three times, and the finished flavor is smooth, crisp, and clean. Unlike many other vodka brands, Luksusowa does not produce flavored vodkas, preferring to stick with the same recipe and method that have been working very well, thank you very much, since 1928. At a little less than $20 a bottle, Finlandia is not the cheapest on this list, though it is one of the most reliable and mixable. Use this Scandinavian import as your "drink-well" vodka for medium-size parties because it is both affordable and exceptionally smooth. Plus, if you need a lot of vodka for the bar, liquor stores will sometimes give you a per-case deal on a popular brand like this. Finlandia is a well-known name in the liquor industry and, as one might expect from the name, it is distilled in Finland. It is unique in that it is distilled from barley, an ancient grain, and it continuously goes through "more than 200 distillation steps." As with most vodka brands, Finlandia has a number of flavored vodkas available. The company's list includes black currant, coconut, cranberry, grapefruit, lime, mango, raspberry, tangerine, and red berry (the only one that is colored). Each is perfect for creating delightful cocktails that are full of flavor. Pinnacle vodka is known for one thing: funky flavors. This import has built a name on stretching the limits of what you thought vodka should be and by regularly releasing some rather bizarre and admittedly fun flavors. This French vodka is distilled five times from wheat. It is a popular brand with many loyal fans and, at around $13 to $17 a bottle, it is a great deal. The flavors are where Pinnacle really grabs the cocktail lover's attention and with every new release it is almost difficult not to think "what did they come up with this time." Pinnacle excels at the dessert vodkas that have dominated the market in recent years, producing a variety of whipped cream, cake, and pie flavors that are a diverting novelty. If you are looking for a vodka that tastes like any sweet treat you could imagine, from cotton candy to peppermint bark, cookie dough, and rainbow sherbert, Pinnacle is the brand you should check out. UV Vodka is one of the most popular value brands of vodka available. Each bottle runs around $10, making it one of the least expensive vodkas on this list. It is distilled in Minneapolis by Phillips Distilling Company, long a maker of omnipresent house brand liquors on the Great Plains. The key to the brand's success is its innovative and very colorful flavor line. The clear vodka, which is distilled from Midwest grain, is just as good as any of the others, but the stunning colors are what really makes the brand special. UV Vodka's flavored vodka line is not only filled with clean tastes, but these vodkas also come in a vibrant array of colors that spans the rainbow. Among the popular flavored vodkas from UV are: pink lemonade (try a Pink Flamingo); the very popular blue raspberry-flavored vodka, which is great mixed with lemonade; orange; grape; citrus; red cherry-flavored vodka; and green apple-flavored vodka, perfect for an apple martini. Recent additions to the line: sriracha vodka with a kick and dessert-flavored vodkas like whipped, chocolate cake, and candy bar. Poland is known as the birthplace of vodka and one of the great vodka-producing countries of the world. While Poland may be better known for its potato vodkas, Sobieski Vodka will show you how great Polish rye vodka is. Sobieski apparently owes its name to the great John III Sobieski, whose image figures on the label. He was the late 17th-century Polish king who drove back the invading Ottoman Turks and briefly restored the kingdom of Poland-Lithuania to greatness for the last time—a great achievement, indeed. Today, Sobieski carries on the eponymous tradition of great achievements as the leading premium brand of vodka in Poland. Beyond being a perfect example of the country's vodka, Sobieski (popularly called Sobi) is one of the best clear vodkas you'll find for around $12 a bottle. This is a perfect choice for a good vodka and a significant upgrade from those $10 liters. Dankowski rye forms the distillate of Sobi, which goes through a continuous distillation process before being married to crystal-clear spring water. The rye gives the finished vodka a rich, silky taste that is actually quite enjoyable on its own. Sobieski has followed in true modern vodka fashion with a slowly expanding line of flavored vodkas as well. Most popular fruit flavors are available, along with delicious vanilla and espresso flavors. The company is also beginning to tap into the dessert market with flavors like lemon meringue and caramel. Possibly the most interesting flavor, however, is bizon grass, which only limited vodkas have taken on and with very little success. If you marry the right brand with bizon grass and the right bartender, you might achieve a flavorful confluence that produces a sophisticated drink with "notes of lavender, vanilla and, of course, cut grass." Denaka Vodka may be one of the best vodkas that you never heard of. It runs about $12, more or less, per bottle and is surprisingly clean for the price. This wheat vodka from Denmark is resoundingly smooth, and if you can't find it in your local liquor store there are plenty of online stores that carry it. Due to its earthy flavor and smooth profile, Denaka is great for most vodka cocktails and makes a great base for the Green Carnation, the Hollywood Martini, and the Kiwi Martini. Denaka also has a nice line of flavored vodkas, including flavors such as black cherry, orange, citron, raspberry, vanilla, and grape. You should be able to find Smirnoff almost anywhere you look, and at just $14 a bottle or less, it is one of the most reliable and inexpensive vodkas out there. The company calls itself the world's most popular vodka and the most awarded name in the category. Smirnoff is a grain-based vodka, originally from Russia (now produced by Diageo in the UK), it has been around since the beginning of the 1900s. The company's groundbreaking marketing campaign in the mid-20th century was instrumental in kicking off the vodka cocktail craze, including the popular classic: the Moscow Mule. Smirnoff also has a full flavor line that includes, as it says, desserty, fruity flavors and mouth-puckering flavors. These include​ green apple, blueberry, citrus, cranberry, watermelon, orange, raspberry, strawberry, and black cherry (try a Black Cherry Breezer). Like most other brands, Smirnoff has followed the dessert vodka trend and produces whipped cream, marshmallow, kissed caramel, and iced cake. The history of Smirnoff and its founder is an interesting tale and a fascinating piece of Russian history. A highly recommended book to catch up on this story: The King of Vodka: The Story of Pyotr Smirnov and the Upheaval of an Empire.